IMG_2371, originally uploaded by toniann. This house was just begging to be made, not just because of the deeply cool blog whose pattern this is, but also because it is super easy to make a lot at once and you can embroider them however you like – even subversively! 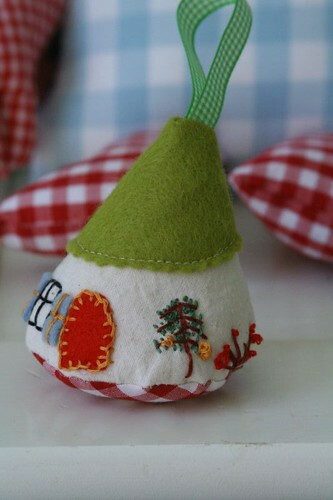 I am making a bunch of these for the tree and hopefully for friends in lieu of bought gifts. I am stitching the year on as well, so when I get senile at least I’ll know what year I’ve forgotten. Am planning on making some square shaped houses too, I’d like to play with my darning foot I bought for my machine and it would be a good project to practise with. So seriously cute! Is there no end to your talents?